Murray BE. Vancomycin-resistant enterococcal infections. N Engl J Med 2000;342:710–721. Toye B, Shymanski J, Bobrowska M, Woods W, et al. Clinical and epidemiological significance of enterococci intrinsically resistant to vancomycin (possessing the vanC genotype). J Clin Microbiol 1997;35:3166–3170. Swampillai J, Liang M, Fisher R, Devlin G. Enterococcus gallinarum causing native valve endocarditis and aorto-atrial fistula: a case report and literature review. Echocardiography 2012;29:873–875. Megran DW. 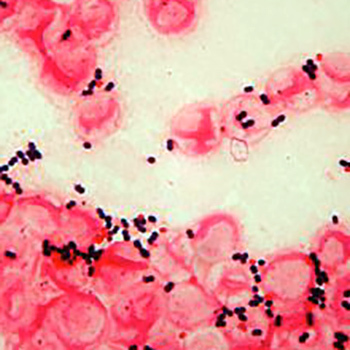 Enterococcal endocarditis. Clin Infect Dis 1992;15:63–71. McDonald JR, Olaison L, Anderson DJ, et al. Enterococcal endocarditis: 107 cases from the international collaboration on endocarditis merged database. Am J Med 2005;118:759–766.